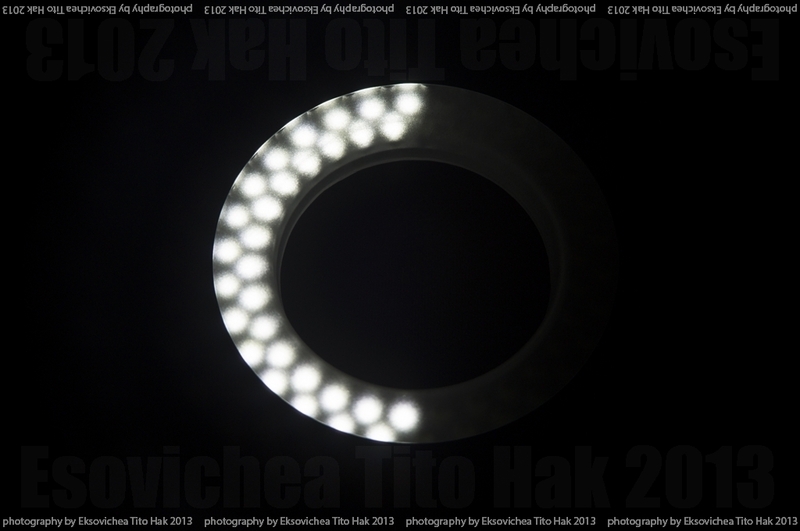 I've certainly never heard of them before, but from what I could gather it had a fuss free all in one design that seemed to simplify the use of a macro light. The thing was essentially attachable to various types of Canon lenses either with a 58mm or 67mm thread using the supplied ring adapters. Batteries not included (unfortunately). 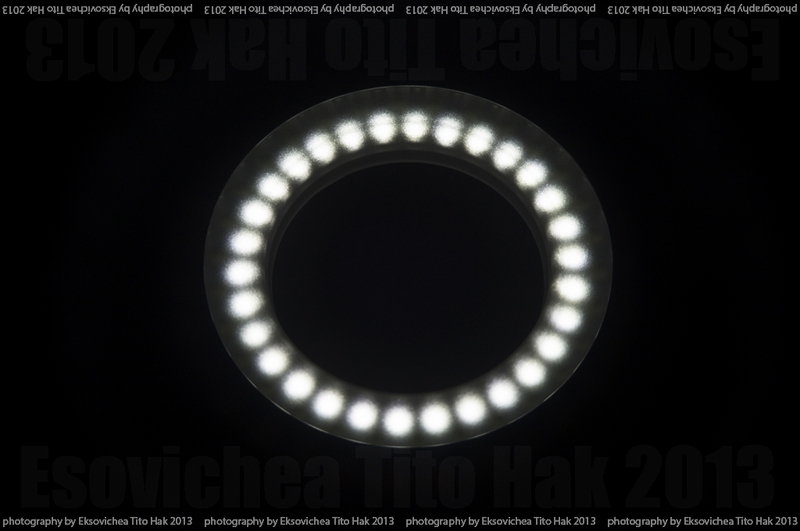 Generally it wasn't so much a macro ring flash but more like a macro ring light/lamp. So you can forget any of the technical rubbish about flash speeds and adjustable ISO settings for it. There is absolutely nothing on the thing that allows any such modes and use of such features. 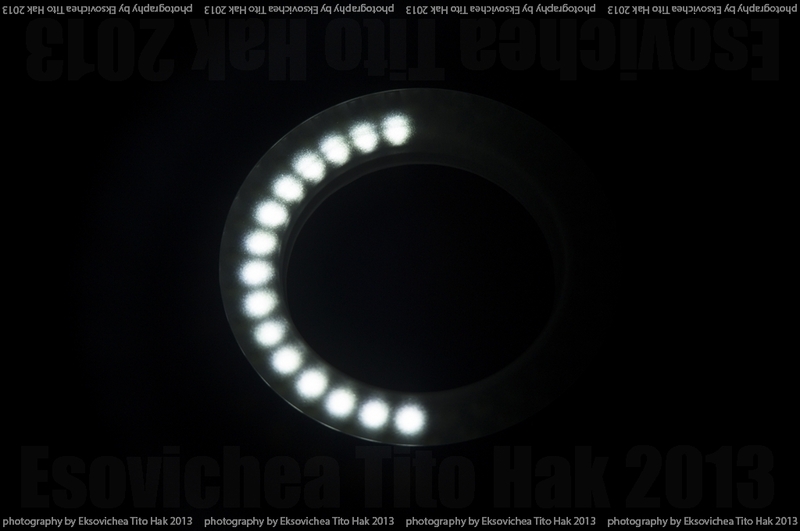 Instead all you'll get is a ring of 60 LED's to make up a lens macro light ring which acts as a lamp only. It doesn't have any type of flash modes at all on it. Although I was a little cheesed off at the general BS for not being as described in terms of features it still pretty much had the feature that I needed even without the flash and wireless triggered light speed flash modes that was claimed. You might ask what would I need standard flash features on the macro ring for anyway since the NEX-F3 doesn't have a standard hotshoe flash device lock and electronic terminals for it. 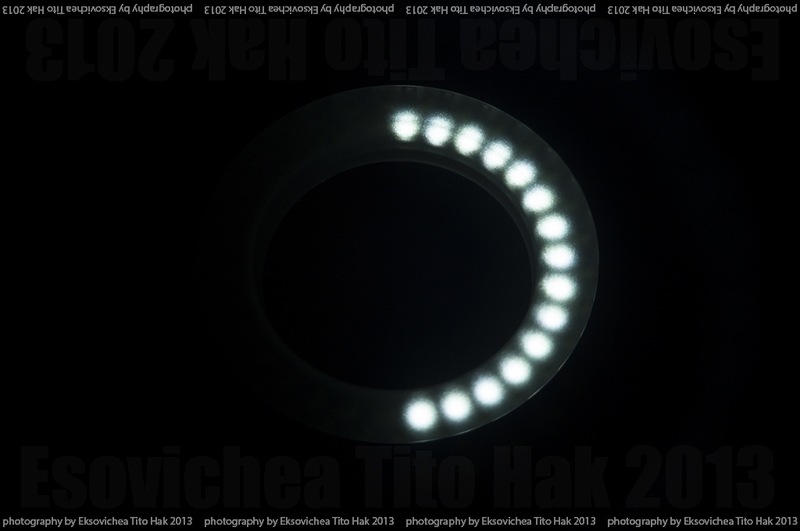 Well its perfectly possible to use industry standard flash devices with the F3 via use of a flash hotshoe adapter. Anyhow, although I'm still annoyed over the fact it wasn't as described as far as the blurb about flash features were concerned the thing pretty much did everything I needed it to do as an LED macro light ring/lamp. I'm not even sure how it got by me, but even the description led me to believe it ran on double A batteries. However when it arrived it turned out it used 3 triple A batteries. 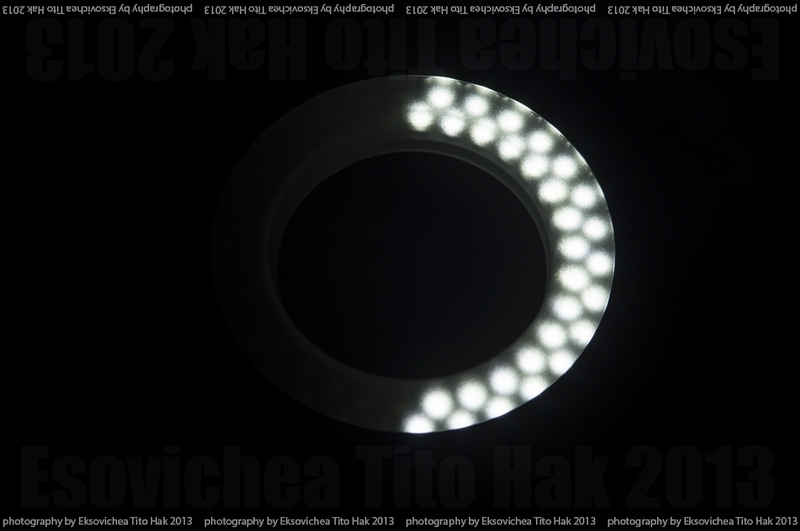 Annoying setbacks aside it worked perfectly as a 60 LED macro light ring for an SLR lens. At full intensity the thing was much brighter then a power saving bulb rated at 9 watts (equivalent to around about the brightness of a standard 60 watt light bulb), however the LED macro ring obviously consumes a mere fraction of the 9 watts that the power saving light-bulb does in order to generate much brighter lighting intensities. 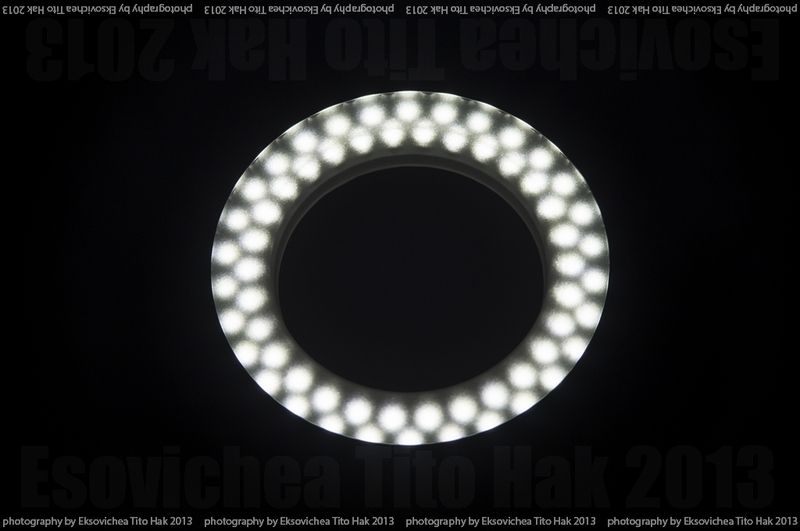 The 60 LED's are arranged in such a way to have the formation of an inner and outer ring. 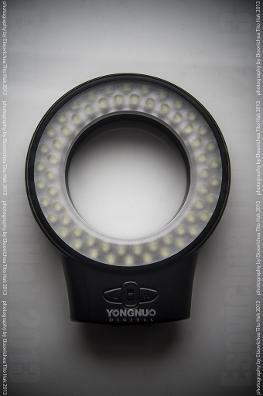 The macro light ring has two buttons that allow you to cycle back and forth between the following 6 modes once you've flicked the main power switch on. 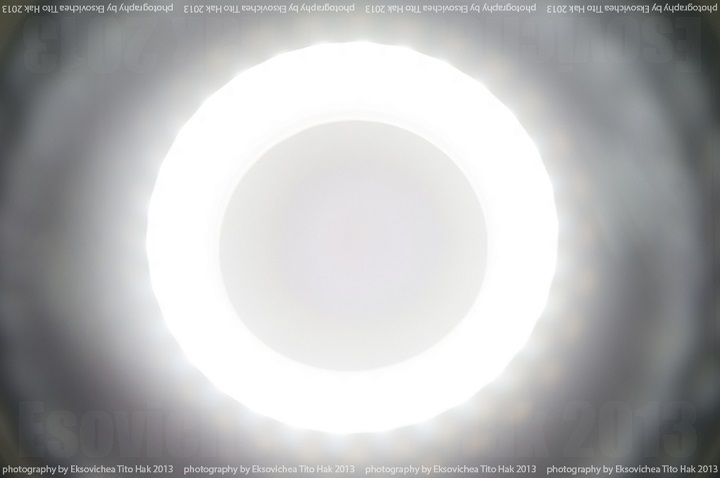 This pretty much allows for different lighting intensities and effects over your photographic subject. It did what I need it to do perfectly. 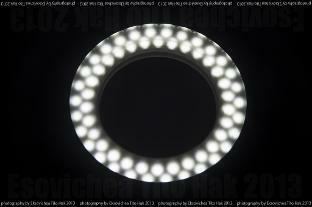 If you need it to function as an LED macro ring lamp for an SLR lens with the a fore mention lighting modes with no flash features, there shouldn't be any problems at all. However also be aware that it uses 3 triple A batteries and not double A. Generally though due to numerous places all saying similar things in overstating its features and capabilities through mentioning stuff that it just wasn't capable of, it generally left me a little annoyed about it despite it actually being able to do what I needed it to do for the main part as an LED macro ring lamp.